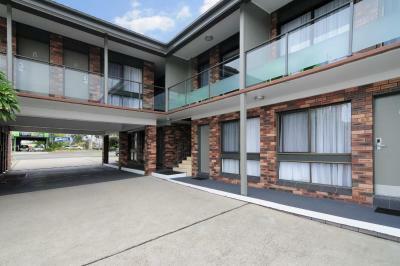 Lock in a great price for Jervis Bay Motel - rated 8.5 by recent guests. Room is neat clean and comfortable. Staff friendly. On the main street so close to shops. Nice location on the main street with easy access to local services. Clean, comfy and well priced. I liked the location most, very near to dolphin watch ferry. The hotel was neat and clean, enough bed space for 2 adults and 1 kid. They provided a room microwave oven as I requested. The staff were helpful, room amenities are good. The location is great. The motel is a bit nicer inside than a regular one. It was reasonably quiet at night. The local club, the park and the beach are all great and just a few-minute walk from the motel. Can't be more central than that. We didn't eat breakfast in the hotel, we went out. The location is perfect. Jervis Bay Motel is located in the centre of Huskisson, with beaches, cafes and shops less than 550 yards away. It offers free WiFi, an outdoor swimming pool and barbecue facilities. 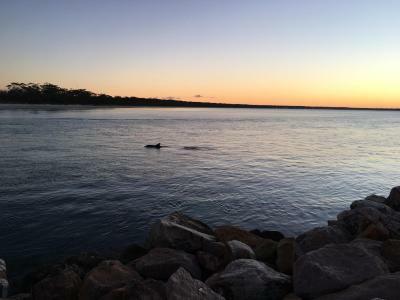 The views from Motel Jervis Bay provide panoramic scenes of the pristine Jervis Bay Marine Park. The Huskisson Theatre is 100 yards away and the Husky Pub is 550 yards away. All rooms feature air conditioning, en suite bathroom, refrigerator and tea/coffee making facilities. Free off-street car parking is provided. 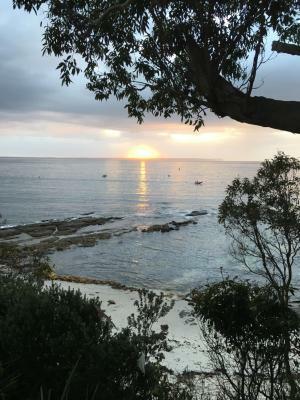 Jervis Bay Motel is a 15-minute drive from Booderee National Park, offering activities such as whale watching, bird and wildlife watching, and excellent surfing at Caves Beach. 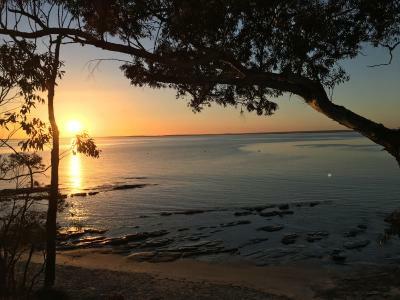 Jervis Bay Motel has been welcoming Booking.com guests since 12 Jan 2011. When would you like to stay at Jervis Bay Motel? This room has a double-sized bed and a single-sized bed. Ground floor room for easy access. Please note that most of these room types have 1 queen-sized bed. A room with 1 queen-sized bed and 1 single-sized bed may be available, on request, subject to availability. To request this alternative bedding configuration, please use the special request box when booking or contact the property using the contact details found on the booking confirmation. Some rooms have ocean views, subject to availability. Located on the 2nd floor, this family room is made up of 2 rooms and offers partial views of Jervis Bay. It includes a queen-sized bed and a single-sized bed. 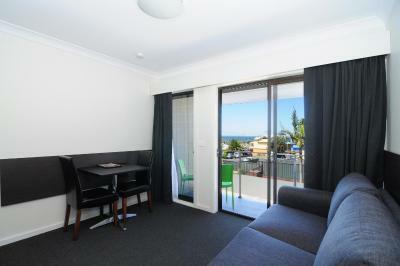 This air-conditioned room features a balcony overlooking the beautiful Jerivs Bay and Huskisson Spit. House rules Jervis Bay Motel takes special requests - add in the next step! One older child or adult is charged AUD 20 per person per night in an extra bed. Jervis Bay Motel accepts these cards and reserves the right to temporarily hold an amount prior to arrival. Please note that a 3% surcharge applies for payments with American Express credit card. Please inform Jervis Bay Motel in advance of your expected arrival time. You can use the Special Requests box when booking, or contact the property directly with the contact details provided in your confirmation. The plug was not going up and down properly. We were pleased that the attendant came immediately to fix it, although disappointed that it jammed again soon after he did so. Reception closes quite early, so we were unable to report the second fault. We did not expect the room to be on the main street. (On Google streetview, the motel seems to be on a side street; this turned out to be the rear entrance.) The club across the road was quite noisy, although the noise ended before we went to bed. We had asked for a quiet room, and may have been given one if we had not been delayed 90 minutes by Easter traffic. The room is rather small. Wifi was very slow. It was handy being right in the town, although this had some disadvantages. Checking in and out worked well; the attendant was pleasant and helpful. Best location, close to the ferry and everything else. Front room has lots of light coming in from the outdoor lighting. Some traffic noise but slows at night. Walking distance to the streets. The parking facility was okay, though the space was small which made it difficult to move the car. The swimming pool was very small. Room was a little pokey. Location for Dolphins and beaches.